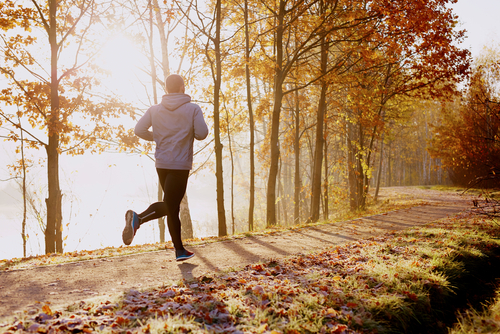 What is the Best Physical Exercise for Mental Health? Most people are aware that exercise is good for your physical health. It helps you maintain a healthy weight, it keeps your blood pressure and resting heart rate down, and it reduces your risk of injury. However, in recent years, research has found that exercise is also one of the best things you can do for your mental health too. Exercise has been shown to improve mood, memory, concentration, willpower, and cognitive flexibility, while reducing stress, anxiety, depression, and age-related cognitive decline. However, there’s much more to it than that. Exercise increases the flow of blood and oxygen to the brain, and specifically to parts of the brain that mediate our response to stress. It makes sense if you think about it. If you were sitting on your couch but your breathing and heart rate were the same as if you were running down the street at 10 miles per hour, it would indicate something is really wrong, but if you actually are running down the street at 10 miles per hour, a fast heart rate and heavy breathing are perfectly normal. Activating that part of the brain that mediates your stress response may mediate all stress, and not just the stress of running, which may be why problems don’t seem as bad after 10 or 15 minutes of exercise. Exercise has a host of secondary benefits as well. For example, many people exercise with friends, or meet new friends through sport or other groups. That sense of connection bolsters a sense of wellbeing and reduces stress. Exercise also gives you a sense of self-efficacy as you meet new goals and learn new skills. Maintaining a healthy body weight not only makes you feel better about yourself, but it gives you more energy, and reduces inflammation, which can lead to anxiety and depression. And just moving your body activates more of your brain. It engages sensory and motor areas, requires spatial awareness, memory, planning, and coordination. When you’re just sitting on the couch, you don’t use much of your brain, but when you get up and start moving, your brain lights up. So what is the best exercise you can do if your goal is to improve your mental health? Unfortunately, there’s no clear answer. This is partly because this field of research is still relatively new and partly because we’re all different. We have different needs, abilities, goals, and interests, and all of these make a difference in deciding what exercise is best for our mental health. To some extent, you just have to see what works for you. With that in mind, here are some important factors that can help you narrow down your search. What will you do consistently? The best exercise is the exercise you will actually do. It doesn’t matter at all what exercise is optimal if you never do it. Choose something that you like, or at least something you don’t hate. Some people never really like exercise, but almost everyone likes what exercise does for her. If you’re only willing to walk for ten minutes a day, that’s fine. Start there and do more when you’re ready. That also means finding something with as few obstacles as possible. If you have to drive across town to go to your gym, you are much more likely to skip workouts. Something you can do near home and don’t particularly dislike is a pretty good place to start. Walking, running, bicycling, gardening, or calisthenics might be good options. Try to keep your heart rate up. So far, most studies on exercise and mental health have found that the best improvements in mood, focus, and memory tend to come from moderately intense aerobic exercise that lasts at least 20 minutes. That means you should be working hard enough that you can speak, but just barely. This makes walking, running, stair climbing, bicycling, and swimming all excellent candidates. Aerobic exercise has been shown to increase serotonin and BDNF, whereas research has so far not shown the same benefits from weight training. This may be due to a bias in research methods, since it’s easier to make mice run on wheels than lift weights. So far, studies with weight lifting have confirmed aerobic exercise is more effective for improving mood and executive function, but recent studies have also found that weight lifting can also improve symptoms of anxiety and depression. So, per the preceding rule, if you prefer lifting weights to running, you are probably better off doing that. One way exercise improves your mental health is by challenging your brain. When you have to learn new skills, your brain is forced to grow and adapt. Therefore, you might want to consider some form of exercise with a high skill element. That could be many things–yoga, basketball, martial arts, dance, baseball, soccer, tennis, golf. Not only will learning a new skill force you to make neurological adaptations, but it will also keep you interested. It’s easy to get bored if you just do the same thing every day and there’s no new challenge. A high skill sport will keep you engaged for the long term.